PRICE SLASHED! UNIQUE RURAL AREA! MUST SEE! just a few custom homes on quiet culdesac! Huge flat fenced premium lot! 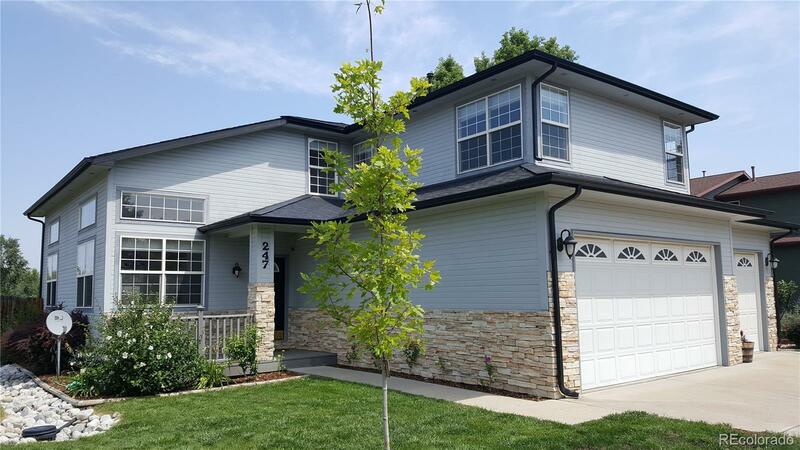 Quality custom home in Littleton 6 schools! new carpet, new designer paint, floors freshened, vaulted open and sunny south exposure! updated hardware (no brass) NEW stainless steel appliances! Vaulted living/dining room/skylight, chef's country kitchen with lots of cabinetry and work space/pantry! Family room with pretty custom fireplace! main floor laundry with lots of storage/cabinets and work sink! Upstairs oversized master with deluxe master bath/jetted tub/lots of closet space and sun tube - 2 other good sized bedrooms with full bath! private deck off family room opens to huge private backyard - Immaculate and move-in ready! Quiet culdesac location - low traffic area - quiet serene living versus other traffic-jammed parts of town! extra elec/water in basement for hobbies or grow op!